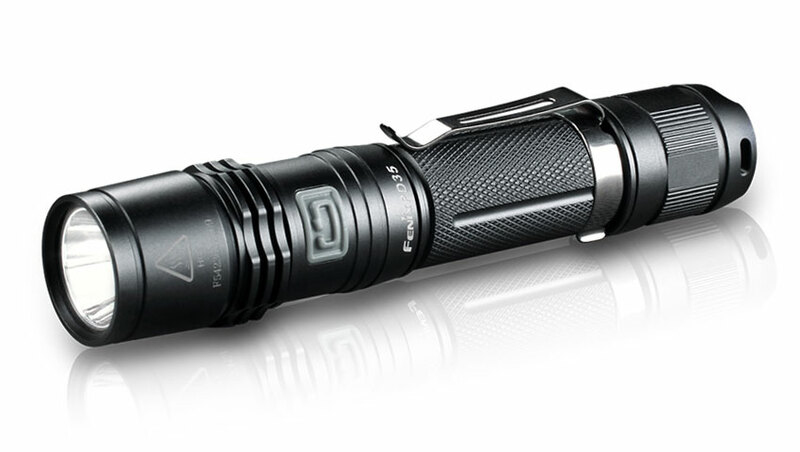 The Fenix PD35 LED flashlight features a blazing 960 lumens of output from two CR123a batteries or a single 18650 battery. The PD35 uses the same unique switching system found in other Fenix lights. The compact size of this light coupled with ultra high light output makes an amazing every day carry light. Features five light output levels with a max light output of 960 lumens. Output modes are easily switched by pressing the side switch.